Jacob Henderson finished what TJ Clarkson has started several times this season. 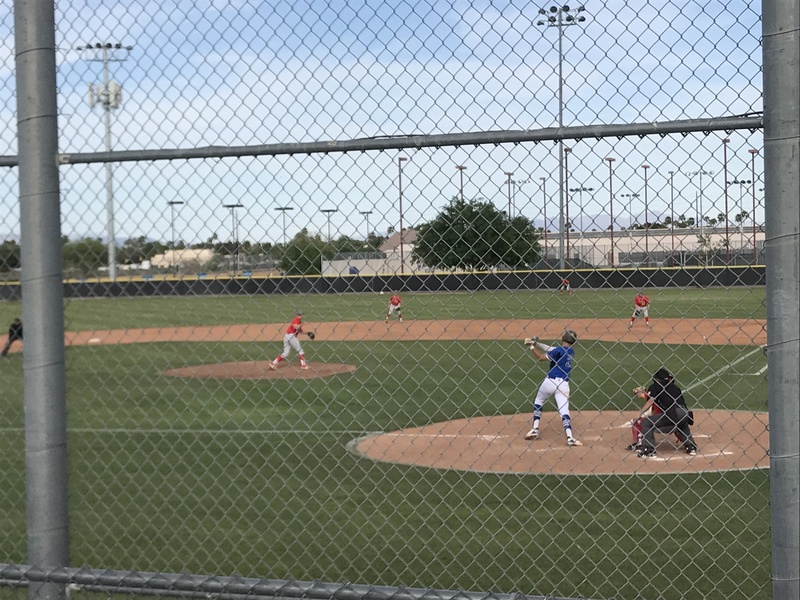 It happened again Tuesday afternoon as the Mesquite centerfielder-closer's late-inning relief work concluded the Wildcats' 3-2 victory over Seton Catholic in a battle of the 1-2 ranked teams in 4A at Mesquite High. The win allows Mesquite (18-4, 4-0 region) to extend its lead in the 4A Desert Sky Region to a 1 1/2 games over Seton, which dropped its first game of the season and is 13-1 overal, 2-1 in region. The game to noone's surprise was a pitcher's duel although a bit of an odd one. Clarkson, a senior who has pitched as Mesquite's ace this season with fellow senior Davis Heller unable to pitch so far due ot injury, was the dominant hurler. Through five innings, Clarkson allowed three hits, no runs, no walks and fanned six. He retired the first 10 batters he faced and pitched to the minimum through four innings. Seton starter Mike Kenney and shortstop-reliever Ryan Johnson worked hard as each threw three innings. They managed to strand 10 runners in sixth innings. Kenney was touched for the first two runs in the third, Johnson the unearned tally in the sixth. With a 2-0 lead in hand thanks to an RBI single by Heller and a triple (misjudged) to center by Holden Owen in the third, Clarkson ran into trouble with two outs in the top of six. Seton's Roco Gump singled, Matt Masciangelo walked and the Sentinels' leading hitter Dylan Johnson followed with a double to the gap in right-center to tie the game. Mesquite coach Jeff Holland summoned Henderson from centerfield to work his magic with Clarkson taking over in center. Henderson threw one pitch and got a fly out to Clarkson leaving the go-ahead run at second and keeping the game tied at 2. Mesquite took advantage of the only error Seton made in the game in the sixth to retake the lead. A one-out double by Daniel Johnson off Ryan Johnson opened the rally. With runners on first and second, courtesy runner Enrique Figueroa roamed too far from second and Kenney's attempted pick found its way to centerfield allowing Figueroa to score. With the run Mesquite needed, Henderson did his thing. He threw 14 pitches in the seventh -- 12 for strikes - and fanned the side to end the first of two games the team play this week. The rematch is Thursday at 3:45 p.m. at Seton. "Hendo has figured it out this year," Holland said. "He's matured out there. He doesn't rush things. He's not throwing now, he's pitching. Every time he's gone out has been like today. 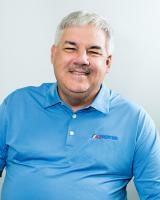 He started some games early in the year and now he's just closing. I like it." Seton coach Brian Stephenson wasn't deterred by his team's first loss of the season. "They had more chances to score and we were able to deny them most of the time," Stephenson said. "I was proud of our guys hanging in. Their lefty (Clarkson) is as good as there is in the state. We'll go at them again on Thursday and I expect it will be the same type of game." Clarkson was Mesquite's top hitter going 2 for 2 with two walks. Dylan Johnson (2 for 3) and Gump (2 for 3) paced Seton at the plate.